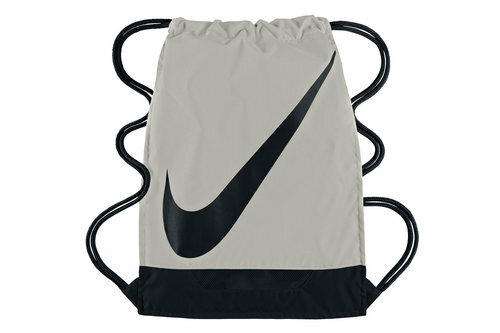 For athletes always on the move, be sure to pack up and pick up this Nike Football 3.0 Gymsack in Pale Grey and Black. This drawstring gym bag allows for easy access and storage, whether throwing in your boots, clothing, equipment or any manner of sports kit. Travel light but compact to any training session or the gym. Allowing you to carry your kit easily and with the iconic Nike swoosh on the front of the bag, and made from a lightweight water-resistant fabric is durable and helps keep out rain. Make sure you don't go without this Nike Football 3.0 Gymsack.